Lipofilling of the face is the restoration of facial contours and volume using own fat cells. The procedure involves the transposition of fat cells from the zone where they are in excess, to the area where the lack of their volume is being observed. This operation has many advantages over the use of various fillers and implants. Own fat tissue is not rejected by the body; it quickly gets accustomed and upon completion of the rehabilitation period it becomes a fully functioning part with nerve endings and blood vessels. congenital or acquired facial asymmetry. The probability of occurrence of side effects is minimal during lipofilling. But swelling, bruising, slight pain or loss of sensation can be observed immediately after the session as after any intervention. Before the lipofilling, the patient is undergoing a standard examination: fluorography and cardiogram and submits blood and urine samples. The lipofilling procedure does not require general anesthesia, all manipulations are virtually painless, and it is performed under local anesthesia. A zone for fat cells obtaining is being determined. Most often it is the abdomen or the inner thighs. The necessary amount of material is obtained by using thin cannulas. It is filtered and then inserted in the correct zone using the thin cannulas. The whole procedure takes less than 1 hour. Minor bruising and bloodshot spots may be present for 1-2 weeks after surgery at the area of the manipulation. You should limit physical activities and exclude the sauna and bath for 3 weeks. The wrinkles are being smoothed out, skin condition is being improved, the face oval is shaped up and a pronounced anti-aging effect is being provided after the correction. In order to evaluate the results of the procedure, you can have a look at the photos of our patients before and after the procedure, as well as learn more from the comments in the "Reviews" section. You can find out how much lipofilling procedure costs in "Our prices" section. But the price is also affected by the need for additional inspections or the use of more complex procedures, depending on the individual characteristics of the patient. You can find out the exact cost of the correction after consultation with our specialist. 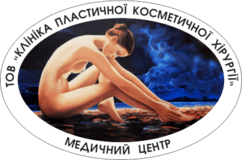 Poltava "Clinic of Plastic and Cosmetic Surgery" Medical Center LLC offers quality services in the field of aesthetic medicine. We use the latest innovations, we work on the basis of professional equipment and high-quality products. Our team of specialists will ensure you a good result. Jan. 6, 2019, 10:25 p.m.
On the eve of the bright holiday of Christmas, I want to thank the entire hospital staff for the friendly attitude, hospitality and careful care. To wish everyone great prosperity, good health, endurance and further success in your hard work, successful procedures. I can finally look at my reflection in the mirror without a shudder. Hemotomy and edema are gone, the skin is tightened, I look at myself and I am glad. Special thanks to Nikita Ilyich for the additional procedure of lipofilling of the forehead and the subfill. Now I am pleased with my appearance. Thank you all! With respect!!! Oct. 12, 2017, 8:17 a.m.
June 14, 2017, 9:10 p.m.
My name is Nurettin from Türkiye. İ had lipofilling surgery 7 days ago. After the surgery i was little bit nervous because of swelling on my face, feeling sad. but now after 7 days i look very good, i look much much better than before the surgery. i want to thank and appreciate you Dr. Nikita Ilyich, you did very good job.i feel great now. And Dr. Lesya Fedorovna thank you very much for your hospitality, welcome, support me and everything. Thank you to all Staff.Everybody treat me kindly, nicely. I definitely recommend this clinic everybody. May 18, 2017, 6:16 p.m.
Nikita Ilyich, thank you very much!!!! You have Golden hands. In January, your clinic did blepharoplasty of the upper eyelids and lipofilling, now I see the result and very happy with it! Thank you very much to all the staff of the clinic! Dec. 16, 2016, 1:08 p.m. I am very glad that asked for help in the Clinic plastic surgery is in the city of Poltava and made sure that there are the best surgeons in the World. Is surgeons from God that do wonders. They have lungs, Golden, magical hands. Years go, and I'm getting old, although and in old age want be beautiful. I visited the clinic in April 2016 and throughout until December 2016 year surgeons Ilya and Nikita Ilyich made me such operations: lipofilling nasolabial furrows, lipofilling palpebrarum furrow, blepharoplasty, phenol peel, face lift 2/3 of the face. All operations were carried out at the highest level. Now look at myself in the mirror and don't believe it's me. I look much more beautiful than I was in youths. Every day my delight from the result is stronger. My dream came true thanks to such surgeons as Ilya Yurievich and Nikita Ilyich. Now want live long and raise grandchildren, wait for great-grandchildren. Dear Lesya Fyodorovna! I am very grateful to you that You are for me made. Thank you very much for your smile, understanding, warm welcome, support, kindness, warmth, sincerity. Many thanks to the wonderful surgeons who have done so much for me. Dear, dear Ilya Yurievich and Nikita Ilyich, a huge, huge You thank you for your professionalism and humanity, I bow to you, You the best surgeons. I will never forget your kindness, understanding and the magic of your hands and What you've done for me. Thank God that in Poltava there are surgeons like you. I want to Express my gratitude to the nurses of the clinic: Lila Petrovna, Svetlana, Victoria, Ira. Many thanks to Igor Anatolyevich. They all respected and supported me throughout this period. Many thanks to the clinic administrators: Alena and Maria for their kindness and attention, as well as the entire staff of the clinic. Attitude in this clinic beautiful, I felt like in my family. All clinic staff are very caring, responsive and attentive to his patients. I congratulate you and your families on the coming 2017 new year and Merry Christmas! I wish you and your families good health and happiness, good luck, wealth, stability, prosperity to Your business and long life! Thank you very much for being here. Thank you For your work and good, which you do for people! Nov. 19, 2014, 12:38 a.m. Many thanks to Your clinic for the procedure of cheekbones lipofilling! It's only been a week, and the result is simply amazing! Special thanks to the best doctor Ilya Yurievich, his son and everyone who took part in the procedure! I did not expect that everything will pass so quickly and easily! Thank you also for the hospitality of charming girls-administrators! Prosperity and success to You!!! July 6, 2014, 6:05 p.m.
Good time of day dear clinic staff, I want to sincerely thank all employees and leading specialists! I have known YOU for many years and appealed to you repeatedly and always the result lived up to expectations!!! On 27 June I did a OP removal of lumps bisha, chin liposuction and lipofilling of the lower eyelids! The OP went flawlessly, the postoperative period too. Dear clinic staff, thank you very much for your support! Ilya You plastic surgeon from God, you as an artist see all and see as will better! God bless YOU and YOUR FAMILY! Olesia Fedorovna special thank YOU for your support and understanding! Nikita Ilyich, thank you for the clear and understandable explanation!Lidia thank you for the smile and encouragement even on the OP table! Anya for attention and support! Dear YOU are the BEST! Girls who plan to change their appearance, do not be afraid, THIS CLINIC is staffed by PROFESSIONALS WITH a capital LETTER! GO BOLDLY! !